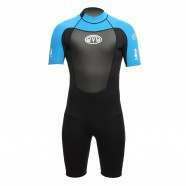 Vissla Wetsuits - Vissla 7 Seas 2mm Shorty Wetsuit - Black :: Men > Wetsuits. Key cord: Easy access and extremly secureThickness: 2mmMen's shorty wetsuitFit: Engineered body lines allow for unrestricted performance and warmthChest zip: Minimal bulk with contoured water tight designTripled glued. double stitched seam: Only penetrates one side of the neoprene.\n allowing high stretch. 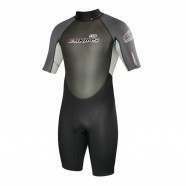 strength and minimaCare: Rinse wetsuit thoroughly inside and out with fresh water and hang\n dry in a cool shaded areaThermal hollow fiber lining: Insulates heat and dries fast100% Super Stretch light neoprene: Lighter. warmer. softer. stretchier.\n easier to put on and take off Size: X-Large,Medium.